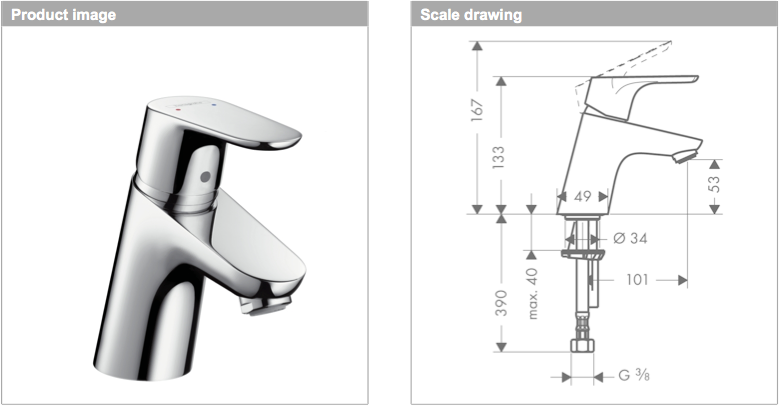 ⅜” to ½” tap tail adapter to use with taps supplied with European tap tails. So as a plumber and handyman the jobs I get asked to do can be varied and wide ranging as you can imagine, and sometimes the job throws up curve balls and presents you with something unexpected. I give you the Hansgrohe 50 focus tap. Now on the surface this may look just like an ordinary basin mixer tap, but when you take a closer inspection you’ll notice the flexible tap tails that are supplied look a little different. That’s because UK pipe sizes as some of you may or may not know are typically ½” feeding a bathroom basin tap; but this tap has a ⅜” connection typically used on the continent. “How’s that going to work?” I hear you cry! Well it just so happens there are ½” to ⅜” compression to male BSP adapters available to reduce the 15mm pipe connection down to fit the hoses, they are available from all good plumbers merchants, and worth stocking a few pairs just in case this problem pops up. 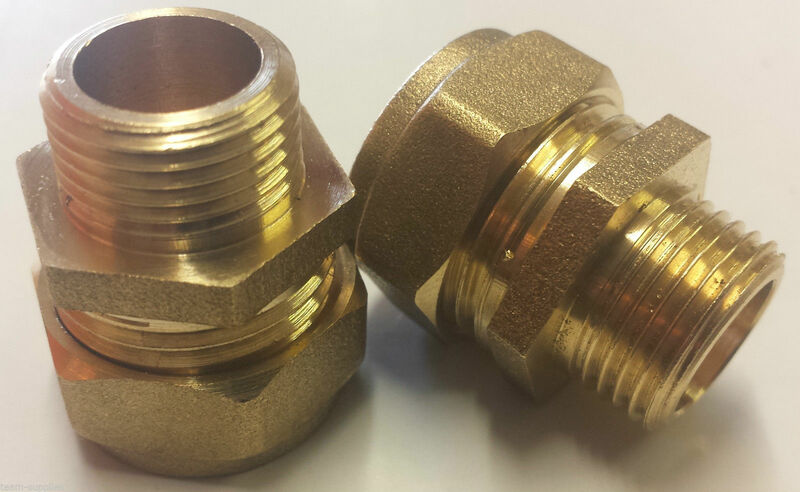 Next time you visit your plumbers’ merchants ask about these fittings.